The anti-immigrant rhetoric that has dominated the national narrative over the past year has not just created negative consequence for adults, but also in policies with devastating consequences for children.  Freedom Network USA (FNUSA) has addressed several attempts over the past year to create barriers for children of violence to access basic services, including those most vulnerable to human trafficking. Earlier this year, the House Judiciary Committee passed the Protection of Children Act (PCA). This legislation would rollback protections for immigrant children fleeing violence and abuse in their home countries. The 2008 reauthorization of the Trafficking Victims Protection Act (TVPA) ensured these children have access to an attorney, a proper trafficking screening, services to meet basic needs, and the time and support to process their trauma. The PCA would remove these protections from the TVPA. Children would be subject to an expedited screening process by enforcement-based agencies including the Department of Homeland Security. If the child was unable to convince the law enforcement official of their victimization within 48 hours, they would be sent back to the country that they fled. FNUSA joined scores of other organizations and advocates to publically oppose the bill. In a related move, the Office of Trafficking in Persons, under the Department of Health and Human Services (HHS), proposed changes to the application process for trafficked immigrant children. The change would require children to disclose the intimate details of their trafficking situation before receiving access to basic services, such as safe housing, mental health services and medical care. Children unable to describe their trauma in sufficient detail would be denied services and swiftly deported. FNUSA is leading the advocacy effort to change this policy. We submitted comments and have met with staff to discuss the proposed changes. We commend the department for soliciting feedback and engaging in an ongoing dialog, while we wait to learn of their final decision. While the outcomes of both efforts are still uncertain, FNUSA intends to work with its allies to ensure that these vulnerable children continue to be protected. Join us. Donate today to ensure that every survivor and every story counts. To learn more about our work, check out our last post in this every survivor counts series.